1080p60 gaming on a 14-incher. Stuff a GTX 1060 into an existing small form factor design and you'll automatically get one of the fastest 14-inch notebooks around. The GS40 series has made the leap to Pascal as the new GS43VR, though fan noise isn't necessarily any quieter. Across the variety of games I tested, the GTX 1060 more often than not delivered 60 FPS at 1080p with quality settings cranked up to the maximum. The most demanding titles of today do require some tweaks to the settings, but there’s no doubting that the GS43VR will provide a great gaming experience at a reasonable price point. The downside to the GS43VR’s performance is mostly the cooling solution, which is loud and leaves absolutely no room for overclocking any component. It suffices at stock speeds, but even then you’ll need headphones to block the whine of the fans. On the flip side, the storage performance from the included PCIe SSD is excellent, although the 128 GB of space you get is limited. It’s pretty hard to believe, sitting here while typing, that this Notebook is better than even my brother’s desktop computer and not by a small margin. It completely destroys his computer and he’s not happy that he can’t have it. MSI notebooks came out with their slogan of “shattering desktop performance” and it seems apt. This little notebook is a stick of dynamite, literally and figuratively. I’ll try to keep it short. 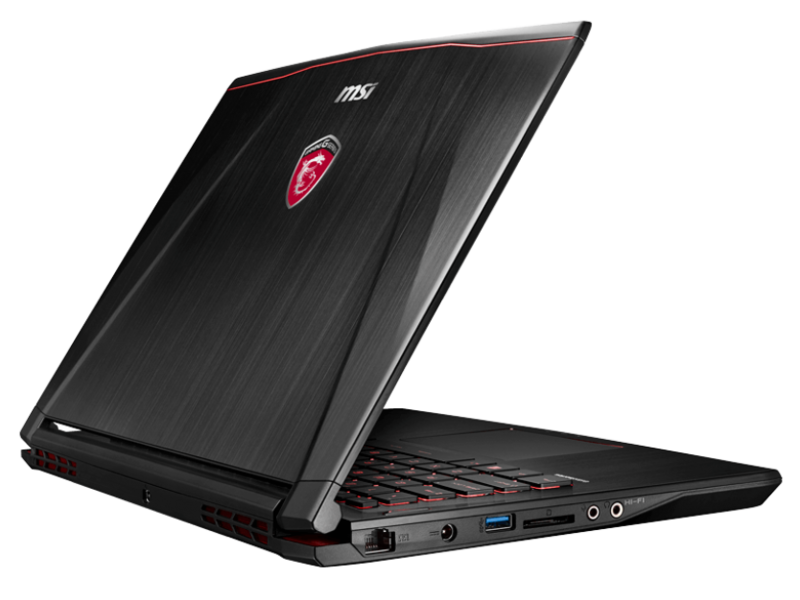 The MSI GS43VR is a nice laptop with good basic features (keyboard, IPS display, 3D performance, enough RAM, SSD). If you want a small and relativelty light weight gaming laptop, this is a good option. However, the laptop has some caveats. The performance/price ratio isn’t the best, chassis heat is high, there is some GPU throttling under gaming load, SSD is not an NVMe. So that’s not the perfect laptop. There's a lot to consider with the GS43VR Phantom Pro and sadly it isn't all rosy. The throttling issues are a shame and possibly even avoidable if MSI had used larger vents for the intake fans. However, this may or may not be an issue depending on the games you play - during repeated testing in Crysis 3 and Battlefield 4, we didn't see any issues, but under sustained heavy load in Unigine Valley the result was much lower than expected. A mobil GTX 1060 a GP106-os lapkára támaszkodik és 1280 árnyalóval rendelkezik. Az azonos nevű asztali verziójához képest valamivel alacsonyabb órajelen jár. FullHD felbontás és magas részletesség mellett minden játék jól kell, hogy fusson. Skylake alapú négy magos processzor notebookokba. HD Graphics 530 IGP-t tartalmaz és 14 nm-es csíkszélességgel készül.